Oh my gosh! Here we are in the last full week of October. This year has just flown by, or maybe it’s just me…. I’m still working primarily on Christmas cards to prepare for my craft fair in November, so I have a lovely one to share with you today for the Cardz4Guyz challenge this week. Our theme is Into the Woods – creating a project that has an aspect of the woods to it. It could be a woodland creature, leaves, trees, rustic etc. Lots of ideas to play around with. I’ve had this die cut sitting on my desk waiting to be used for quite awhile now. It was sent to me in a swap and I’ve been longing to use it up so I just decided that this was it. I chose to go with a White on White card, probably because I rarely do them but they just look so good! I paired the image with the falling snow enbossing folder from Stampin Up as well as the Christmas Thinlits PEACE which I cut out of some silver foil. The bling is from my stash and then I went over the image with a bit of Wink of Stella for just a hint of shimmer. I hope it makes you smile and I also hope that you will hop over to the blog to see what the rest of the DT has created and also to play along with us. We would love to see what you are creating this week! Hello from another wintery day in Calgary folks..yep another snowfall. This is just nuts! I am not ready to give up on fall yet, which is why I have an autumn-y card for you for the challenge this week at Cardz4Guyz..
It’s my challenge theme this week and it’s TRIANGLES! Let’s get some of the three sided shapes on your projects to share! For mine, I used some old Farmhouse paper from 2012 ! I made a triangle out of it and then matted it with some brown cardstock. I added in a layer of leaves from my stash and a hello sentiment die from SU. I also found some little triangle enamel shapes from Heidi Swapp that went really well with the paper. Don’t forget to play along with us this challenge, can’t wait to see what you have to show us! Yep, it’s October and I’m making Christmas cards! Nuts right? We’ve already had snow, so it makes perfect sense! and I put together this! The stamp is a new one I just picked up from Studio Katia that I thought was so adorable! I stamped and colored the elves and Santa with my copics and then cut out one elf to be popped up. I cut out the Merry from the Stampin Up Christmas Thinlits about 4 times from glitter paper and layered them together. The last step was to add some Pearlized Smooch for the hats/bears and then some Nuvo drops in a white to add the snow everywhere. I hope you like it and don’t forget to play along with us this month. Stop by the blog to see what the rest of the DT has created to inspire you! Morning Everyone! We just got back yesterday from a week of camping out at Big Knife Provincial Park which was great fun – except for the wasps! My poor son got stung 3x! That fits right into this week’s challenge at Cardz 4 Guyz – Get Well Soon! I’m sure my son could use a Get Well Card! Today’s card pairs an image from Kraftin Kimmie designs with some Stampin Up Designer Paper. I have just a bit of this coffee paper left and I think I am going to make up a batch of cards to get it finished. The stamp is called One Cup at A Time, and I use it a lot! The sentiment I printed off of the internet and then added some hearts with my little heart punch. I hope you like it and don’t forget to join us for this week’s challenge! Can’t wait to see what you create! Hello Monday Peeps! Have you stopped by the UYS blog today? Our new challenge is up! This week we are using triangles! So I decided to go with a layout today because I really wanted to try a background die cut. I came across this one from Bits and Pieces . which I uploaded to my Cricut Explore Air and then cut out. I thought it would be fun to do a Disney Layout and back the pieces with my Disney papers. The actual diecut is called Shattered Glass but it has some fun triangle pieces to it. I used DP from Simple Stories & Echo Park, as well as their embellishments. The sentiments are die cuts from Stampin Up and the internet. 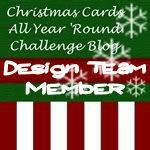 I hope you like the layout and feel free to stop by the blog and play along with this week’s challenge! I am in a group on Splitcoast Stampers called the Baker’s Dozen. We swap a card with a partner for 13 weeks… I think we are on round 17 (I joined in on round 13) 🙂 This is the first card that I sent to my partner. I just got some distress oxide inks and wanted to play around with them a little bit. Are you ready for another Cardz 4 Guyz challenge? This week, it’s all about the R&R…our theme is RELAX! I’m using this cute one from the Fun in the Sun cartridge…I did a bit of finagling as I added some chalk to sort of define his shorts and his sunglasses! I paired it with the Lakeside DP from Pebbles (yikes 2012!) and the sentiment I found online at deesdesigns as a freebie (thanks Dee!). A few little bling from Stampin Up and voila! Enjoying the day! 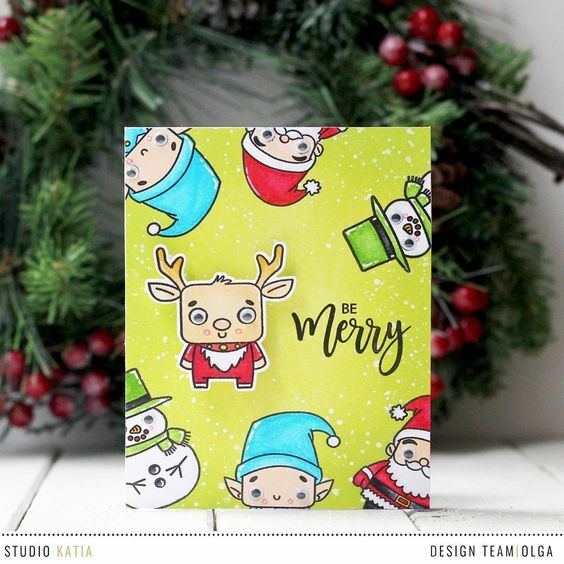 I hope you like the card and please stop by the blog to see what the rest of the DT has come up with and to play along with us…can’t wait to see what you create this week!